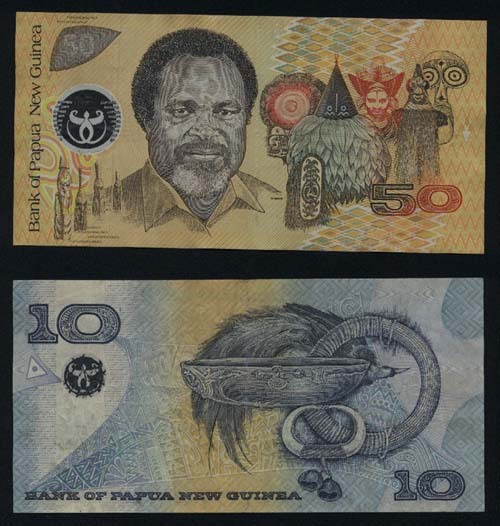 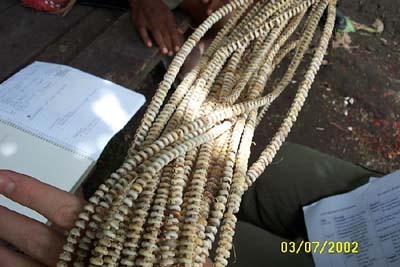 Kina notes with Tabu shell money and other traditional currencies. 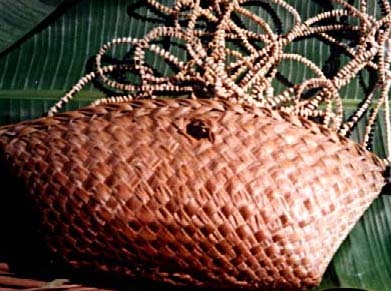 Tabu shell money in its own woven banana leaf purse. 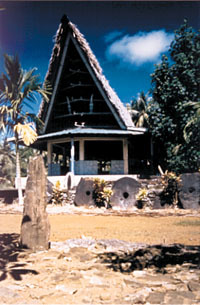 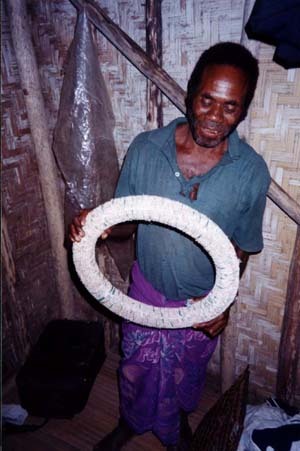 Villager holding a small roll "Loloi" of Tabu. 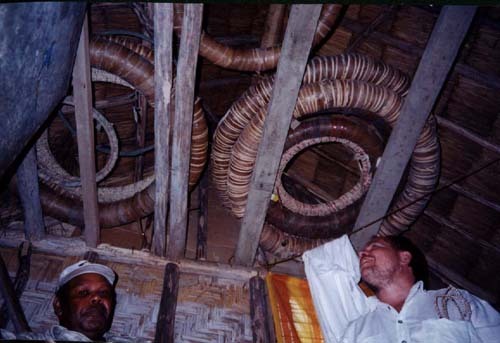 Lolois of Tabu in storage in the rafters of a home.